Voltage fluctuation is a common phenomenon in every part of the country. The industrial units running round the clock usually face the problem of low and high voltage. 90% of industrial load is of motors. Electric motors draw considerably high current at low & high voltage. This higher current affects the electrical motors (particularly smaller capacity motors up to 7.5 H.P.) in three ways. Automatic Voltage Controller is the most efficient equipment used to tackle this problem. 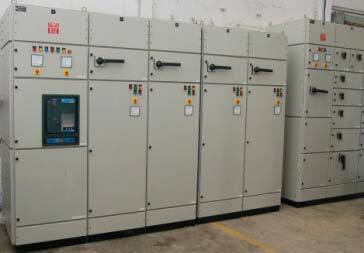 We are one of the principal Industrial Automatic Voltage Controller Suppliers in India. Servo Controlled Automatic Voltage Controller that we offer has various advantages that help in saving a lot on electricity bill. 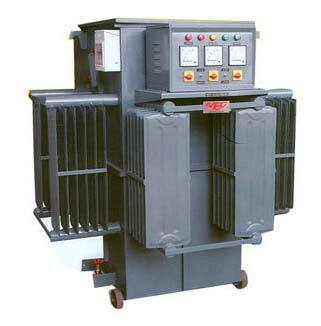 Owing to its high efficiency and associated benefits, the payback period for the cost of Servo Voltage Stabilizer is from 6-12 months depending upon the input voltage variation and number of working hours of the plant. The HIGHER the input voltage the SHORTER will be the payback period. Electronic Control Circuit and meter panel. 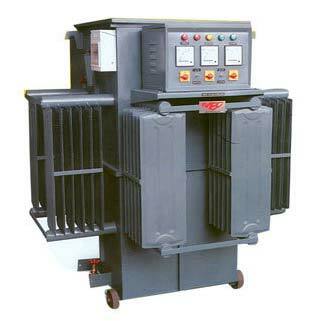 The regulator and buck boost transformer are oil cooled, housed in same or separate steel tanks. Radiators, if necessary are provided for effective cooling. Their core is built from grain oriented silicon steel Laminations which keep losses to the minimum and they are wound with electrolytic grade copper to minimize the losses, vacuum impregnated and oven dried as per IS. Attention for Power Consumer Units Having L.T. Connections but Not Having Their Own Distribution Transformer and situated in Commercial / residential Areas. It has been observed that the said power consumers usually face unbalanced input voltage problem and to overcome the same should install Automatic Voltage Controller suitable for unbalanced input voltage (individual phase control).